"Love is at the root of everything. All learning. All parenting. All relationships. Love, or the lack of it." Kindergarten was just five years ago, but in many ways, it seems like it was a different lifetime. We've faced so many challenges along the way. 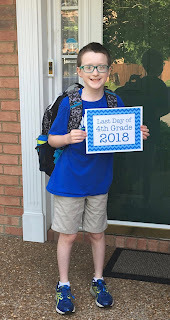 I'm so glad I didn't know what was ahead when we put our tiny five-year-old on the giant school bus that morning in August of 2013. Fast forward to last week's fourth grade graduation. Adam's wonderful fourth grade teacher got choked up as she read the names of her students. I wish every student could experience the love and concern she shows her students and their families. While I couldn't be as involved at school as I would like to be, the times I observed her interacting with students were nothing short of magical. She made each child feel important and special and created an environment where the students were excited to learn. We went up to the school to vote after classes were over on the last day, and Adam gave her a big hug. He's not a big hugger, and so this was a huge deal. 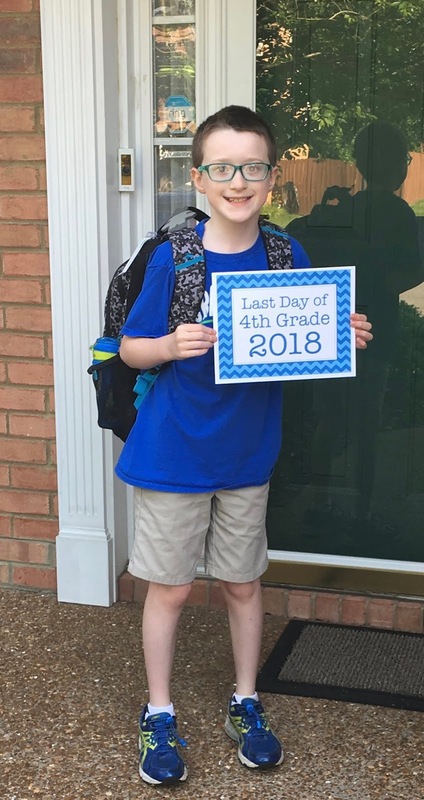 His teacher this year was just one of the fantastic staff and faculty who have loved us so well over these past five years. We truly had a team at Granbery that has walked beside us and loved us through many challenges and triumphs.